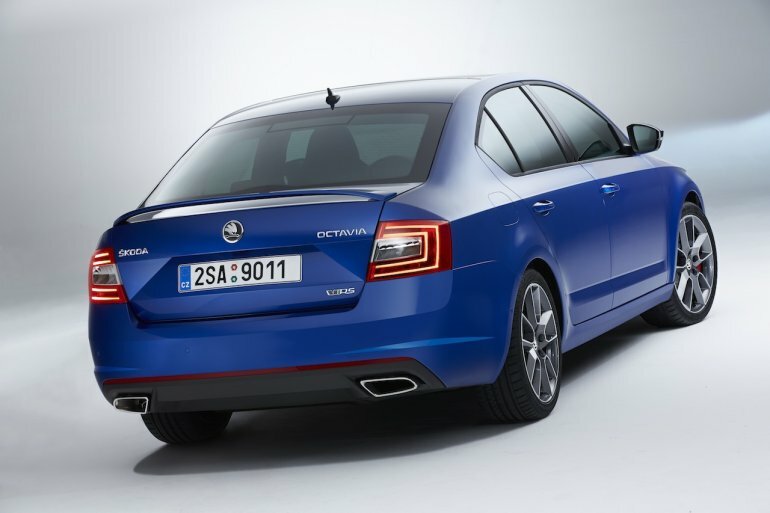 After a lot of renderings and spy photos, the all new 2014 Skoda Octavia RS has finally been unveiled. 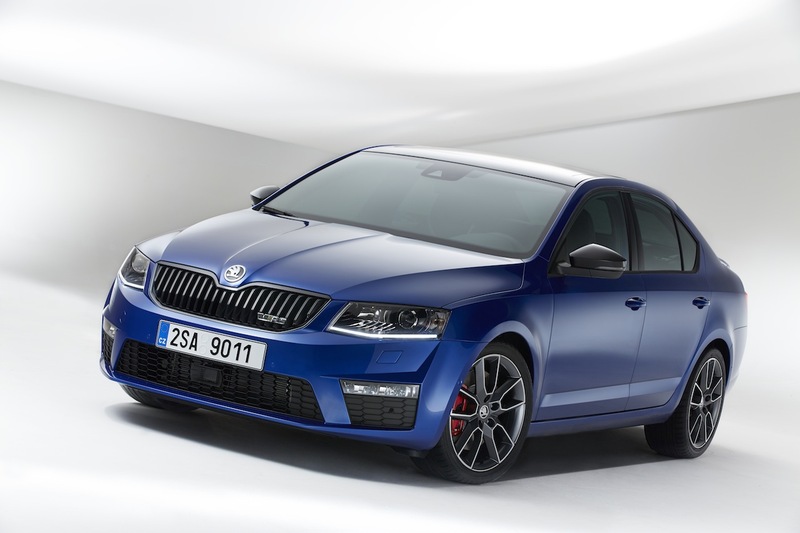 The new RS (or vRS) will have its official debut at the Goodwood Festival of Speed which takes place on July 10th. Let's talk about the engine first. There are two options available - a 2.0-liter TSI petrol develops 220bhp of power and comes mated to a 6-speed manual transmission only. It takes only 6.8 seconds to do the 0-100km/h sprint while the top speed is rated at 248km/h, making it 6km/h faster than the outgoing car. 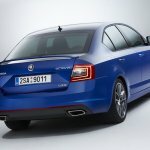 The other engine option is a 2.0-TDI diesel which produces 184bhp of power. 0-100km/h comes up in 8.1 seconds while the top speed is rated at 232km/h. The diesel is available with a 6-speed manual and a 6-speed DSG transmission. The new Octavia RS is quicker and faster and yet it consumes less fuel than its predecessor. The new engines consume 19% less fuel when compared to the old lineup. Start-Stop technology combined with Brake Energy Regeneration are offered as standard. To make sure that the new RS corners as well as it looks, a modern sports suspension is fitted as part of the standard equipment. 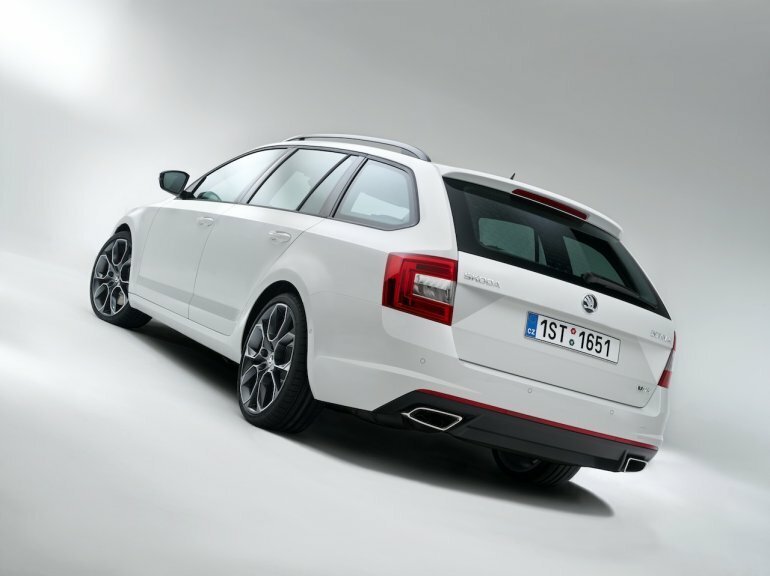 The new RS rides 12mm lower than the normal Octavia to improve its cornering capabilities. The normal rear axle is chucked out and replaced by a new multi-link axle. A MacPherson strut with triangle wishbones are also new. 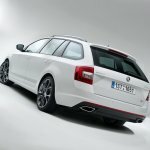 The new Octavia RS features ESC as standard. An electronic differential lock is integrated into the ESC and Skoda says this reduces understeer during fast cornering. A new electro-mechanical steering promises better feel through the bends. 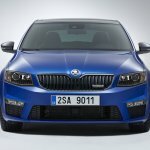 Skoda says that the driver can make smaller movements and achieve the turning required. Head over to Page 2 to read about the Exteriors, Wheels and Interiors. 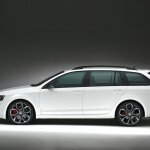 The new RS can be had in sedan or estate body styles. The front end of the car is made to look much more aggressive and yet convey that it is a RS-go-faster variant. To go the extra mile, Skoda has added plenty of RS badges to the car. The front bumper has also been restyled to feature a new fog lamp design. New bi-xenon headlights with integrated LED daytime running lights now come as standard. Let's talk about wheels now. 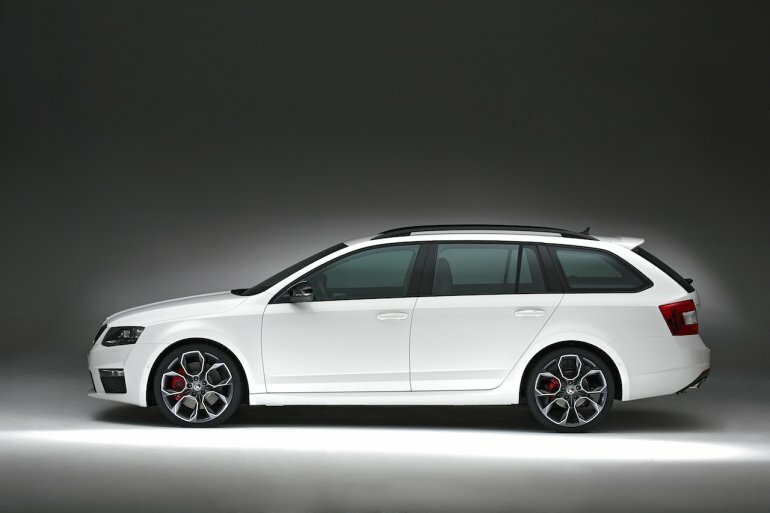 Skoda has made four different alloy wheels for the RS enthusiast. The standard wheel is a 17-inch 'Dorado' fitted with 225/45 tires. Next up is 18-inches in two different styles, namely 'Gemini' and 'Pictoris'. They come with 225/40 rubber. Finally, 19-inch light alloy wheels named 'Xtrem' are offered in a black color. The rear of the car sports a black diffuser alongside two large, trapezoidal-shaped chrome exhaust tailpipes. A new thin spoiler completes the package. Inside, the new RS comes in a sporty black color. Ambient lighting is now offered as standard. The seats have been redesigned for the RS variant specifically. The steering wheel is covered with perforated leather and in a sporty 3-spoke layout. Apart from a ton of RS logos, the interior also features some leather for the gear lever, handbrake and a lot of stainless steel for the pedals and the door sills. The boot of the RS has been increased by a further 5 liters and it now boasts of 590 liters of luggage volume. Head to Page 3 to read about the features and view the Image Gallery. With great power comes great responsibility. That applies to Spiderman and the new RS. 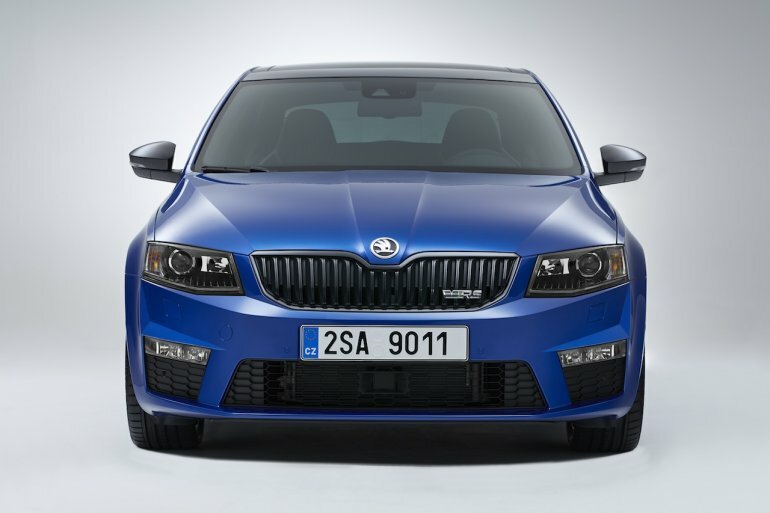 Skoda has equipped the car with emergency city braking, lane assistant, multi-collision braking and up to 9 airbags. Feature wise you get adaptive cruise control, light assistant, park assistant and another feature that indicates traffic signals on the road! The new RS will go on sale in Europe first, with the car being available for markets in the UK by July this year. The new ŠKODA Octavia RS is in a sports league of its own. Our latest model stands for horsepower and fuel efficiency and, at the same time, for emotion and rationality. Never before has an Octavia RS been so fast and dynamic and yet so spacious, convenient, safe and comfortable as the third generation of our compact sports car. In this perfect combination, the new Octavia RS and Octavia Combi RS set new standards in the sporty compact class and also takes the brand’s sporty genes with it on the road. A perfect car for free time and everyday use, maximum power, the latest technology and great value for money. Head to Page 4 to view the official Press Release.